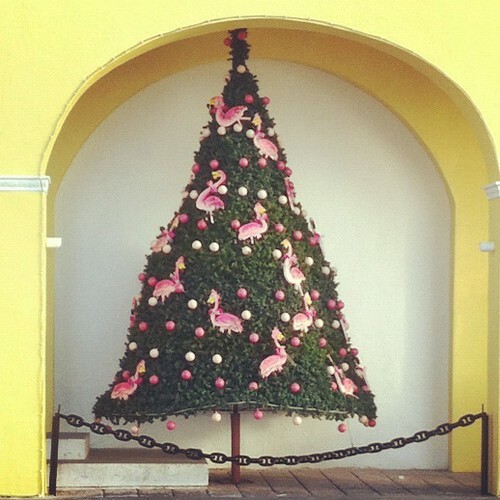 Over the holidays I was lucky enough to go to Mexico with my family. 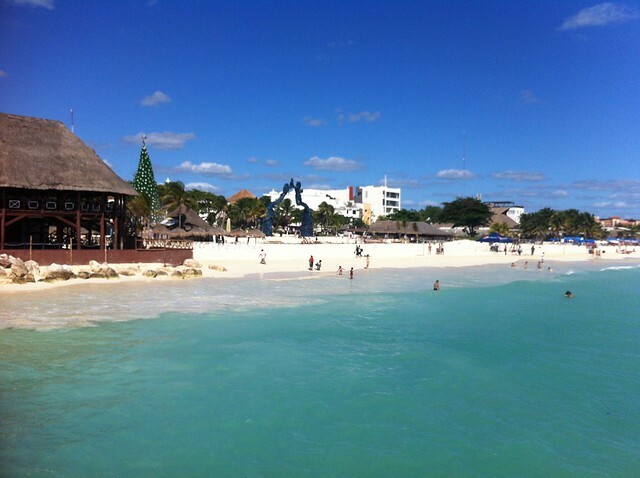 I took so many pictures and wanted to share some, I’m going to split this into a few posts starting with our first few days in Playa Del Carmen and Cozumel. and then I got a patacone for my entree which was heavenly. 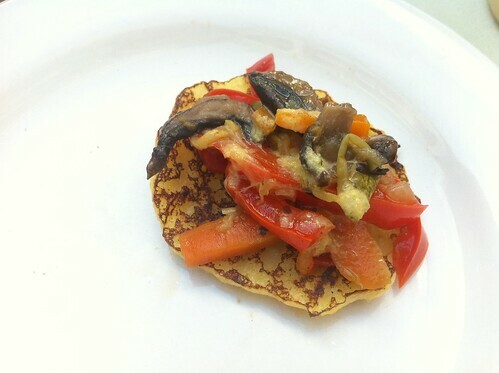 I don’t think I have ever had one before which is kind of surprising since I love plantains. 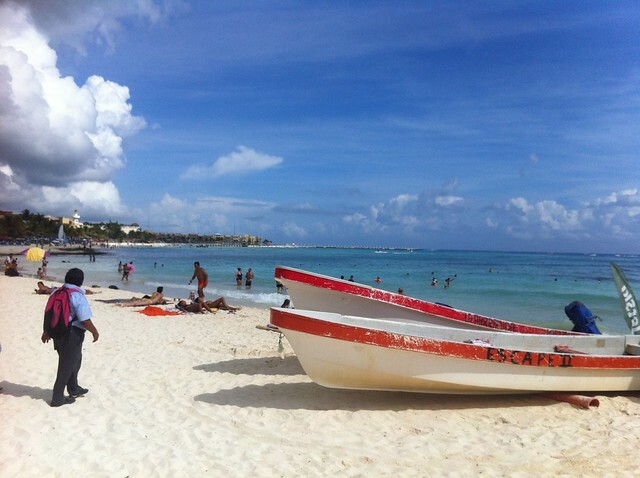 Playa Del Carmen has one of the most beautiful beaches I have ever seen and it was packed the week we were there. 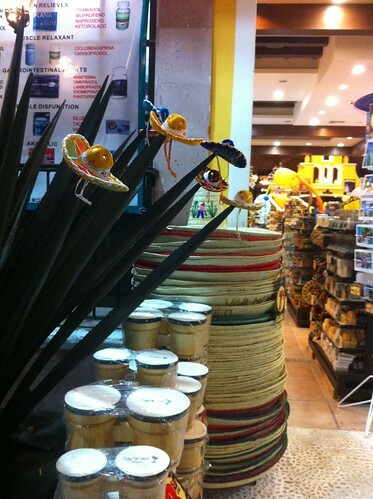 The main drag, Calle 5 has about a million tourist shops with trinkets, silver, ponchos, restaurants, pharmacies, and bars. 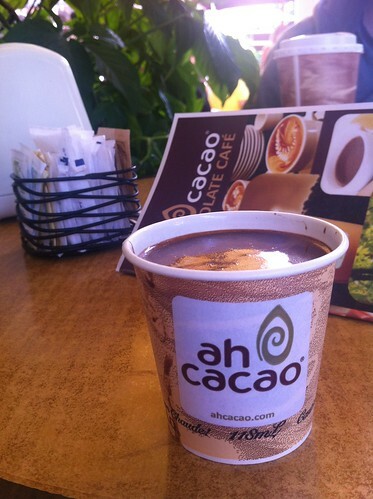 Along with Starbucks there was a local alternative Ah Cacao every couple blocks and I kind of became obsessed with their Mayan Drinking Chocolate which said vegan right on the menu! It was so thick and creamy, I wish it was a common item at coffee shops here because it’s perfect for when you want something sweet after dinner. I also got to try the Mexican chain 100% Natural. 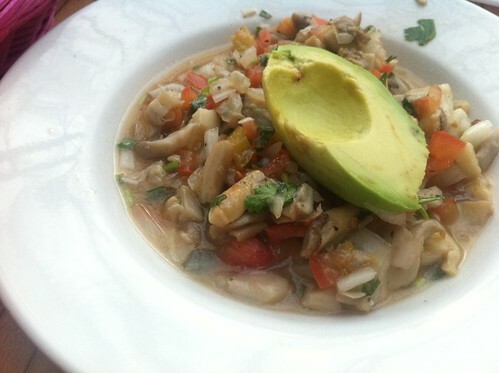 I loved the mushroom ceviche. But the tacos weren’t as good. 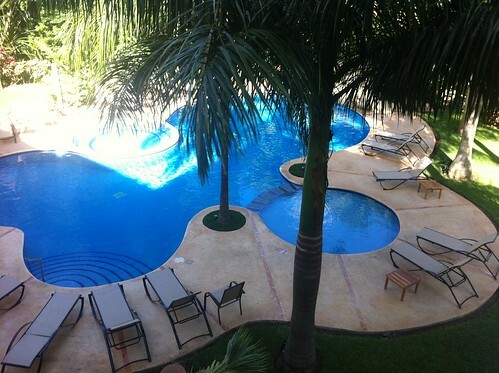 We stayed in a condo with a balcony that overlooked the gigantic swimming pool. It was just a short walk to the beach though. 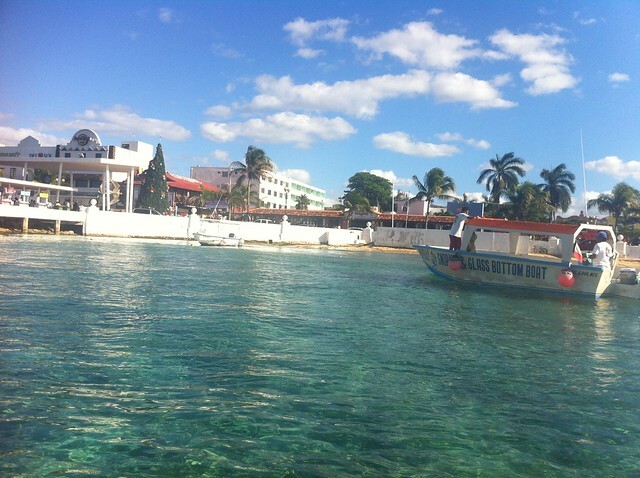 One day we took the ferry across to the island of Cozumel. It was Sunday so I had a hard time finding anywhere open to eat but I finally found someone to make me a vegetable sandwich. Being vegan is pretty easy once you get it across. 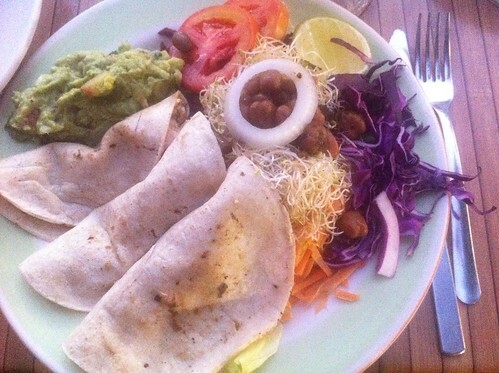 It probably wouldn’t be as fun if I didn’t absolutely adore guacamole which is what would often tide me over. We wandered around until I totally panicked thinking I’d lost my snorkel. 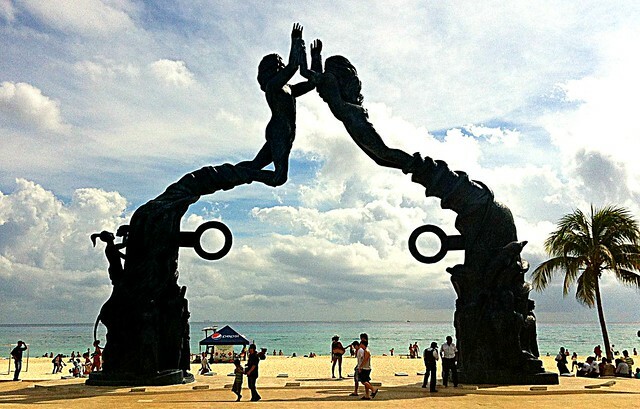 Playa del Carmen is on what’s called the “Riviera Maya” area of Mexico on the Yucatan and has numerous cave formations. It is famous for it’s cenotes, which are caves filled with fresh water where you can go swimming. 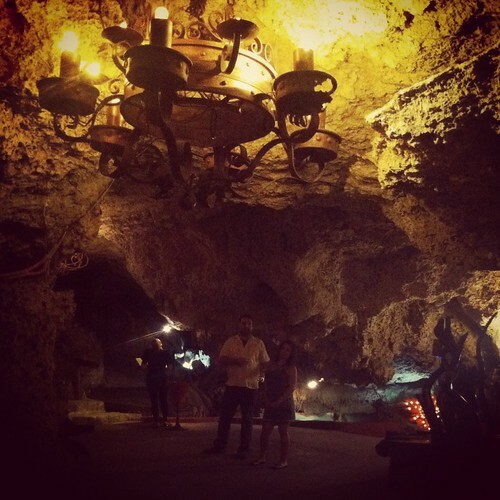 On Christmas we had dinner at a very fancy cave restaurant called Alux. It was too dark to take pictures of the food but I definitely recommend it. Here’s my sister and her boyfriend by the entrance. 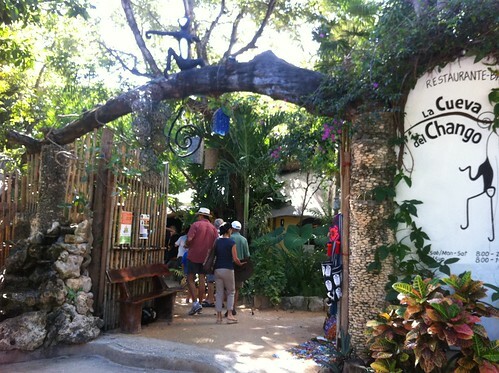 My favorite place to eat in Playa was definitely La Cueva del Chango. It was a beautiful spot with a little water feature in the middle that had fish and turtles swimming! 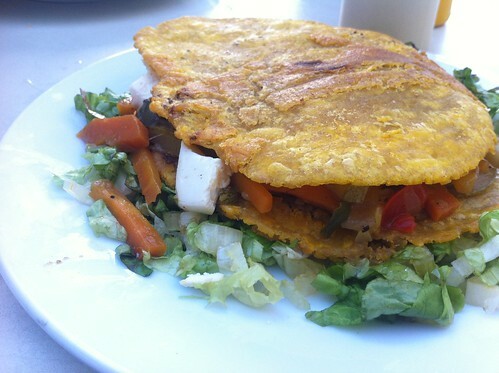 They made me a vegan version of the chile rellano which was stuffed with quinoa and raisins and maybe walnuts. 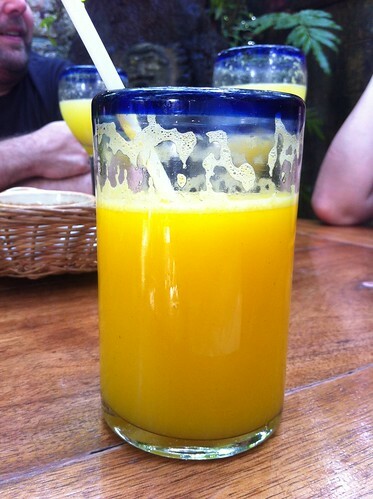 I went back for breakfast and had the most outstanding fresh tangerine juice. 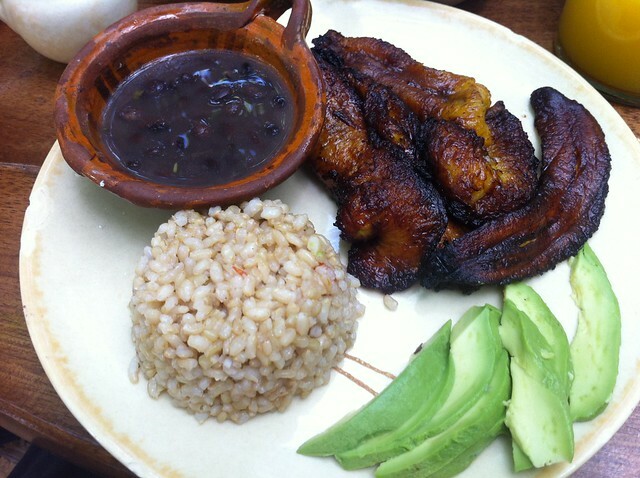 they also made me my favorite Mexican breakfast, beans, rice, avocado, tortillas, and fried plantains. 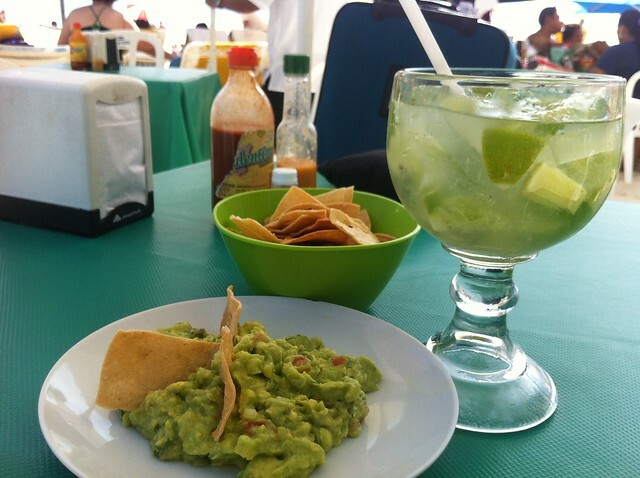 My sister also introduced me to the chilada, which is just beer mixed with lime and salt. The perfect thing on a hot sunny day for when a michilada just seems like too much. 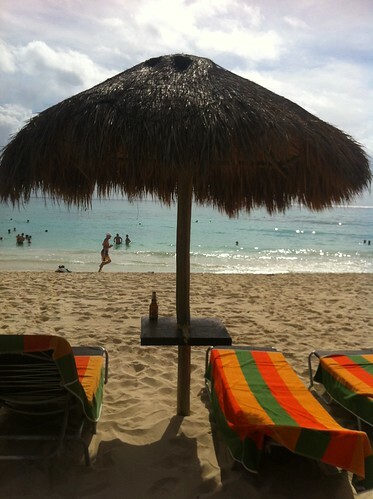 I’ll post more about Akumal and Tulum. 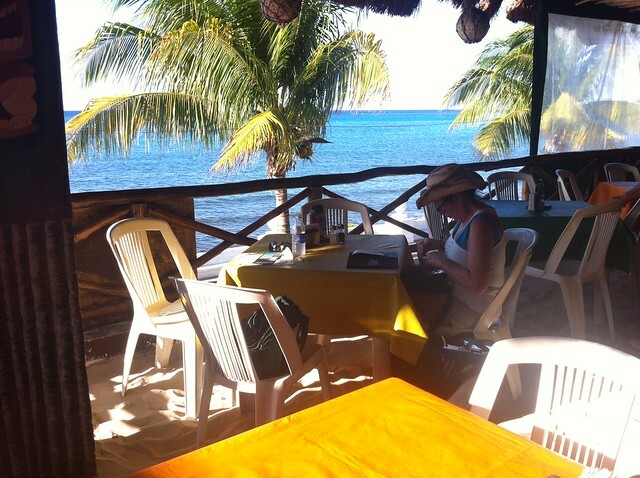 This entry was posted in Travel, World and tagged cozumel, mexico, playa del carmen, vegan on January 30, 2013 by lazysmurf.